KYCC is an elected group of young people who represent the issues and views of Kent young people and campaign for change. KYCC meet once each month, typically on a Sunday at County Hall in Maidstone. It is an apolitical organisation which aims to tackle young people’s issues across Kent. Over the years it has been running, it had achieved many great things, the most well-known being successfully getting the freedom bus pass for young people. When the elections for KYCC are held in October, candidates must campaign at their schools in order to get voted in as a representative of their district. Along with this, 3 campaigns are voted in as well. This year, the campaigns that were voted in are Mental Health, a Curriculum for Life and Anti-Bullying. The aim of all of these are to listen to the issues young people have regarding these specific topics and think of ways to solve them. Smaller topics that have got fewer votes can become interest groups and these sessions are held in the afternoon. As mental health is very much a passion of mine, I am part of this campaign group. The demand we have witnessed is for the ever-existent stigma surrounding mental health to disappear and for conversations of mental illnesses to become frequent. Also, we want to make young people aware of the mental health services that are available for them. To do this, we have created a directory of all the services across Kent, arranged into district-wide services specifically aimed at young people. We are also hoping to create credit card sized ‘Z-Cards’ which will contain all this information when folded out but also a Mental Wellbeing guidebook which will advise young people on how to identify if they do, or do not, have a mental illness and also how they can go about getting help. We plan to distribute these throughout secondary schools in Kent. The Curriculum for Life campaign group focus on trying to transform HSEE/PSHE into something that is helpful for students to carry forward with them into life such as completing taxes, or political education for when they turn 18, or even things as simple as creating a weekly budget for themselves. The aim of the group is to try and educate young people so they are ready for life when they leave school. The Anti-Bullying campaign tackles the issue by creating information booklets and trying to raise awareness of what to do if you are being bullied, but also creating a programme that can be put in place for the bully, to help re-educate them so they do not continue with this behaviour. This year, the interest groups that have been running have covered a full range of issues such as Environmental issues to Raising Awareness of LGBTQ+. Although all of these groups offer an opportunity to make a change in your community, there is also the chance to take it further. 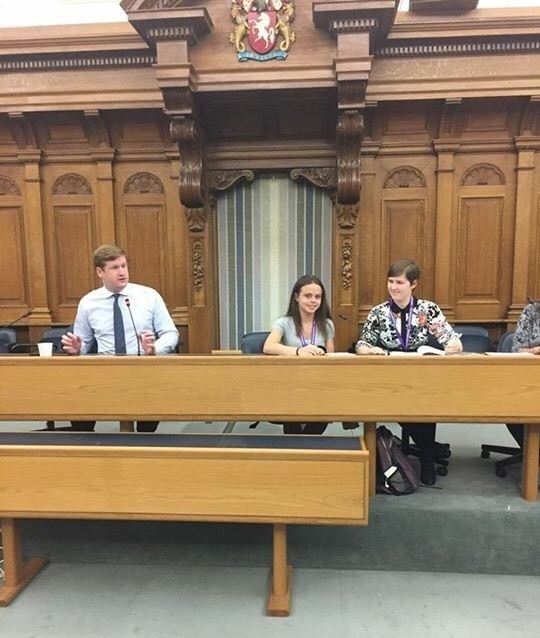 KYCC offers the opportunity to become a member of the UK Youth Parliament. This then involves you representing the views of young people in Kent in countrywide conventions and debates. The biggest debates of the year take place in the House of Commons, quite often with the Speaker, the Rt Hon John Bercow as the chair. KYCC is something that really broadens your horizons and allows you to develop skills that you didn’t think you could ever achieve before. Newer PostThe Legendary Winter Hamper Raffle!